Jack Getze has been here a couple of times before. As a matter of fact, on his first visit, he won The Pee Your Pants Laughing Award (very prestigious lol). And you will continue laughing this time out with BIG MOJO. I don’t want to say an old dog can’t learn new tricks because Austin has grown since his first outing in BIG NUMBERS (followed by BIG MONEY – wonder where he’s going with this title thing, but I digress). Austin has grown, he is becoming a very good and involve parent and a pretty good business man. But never fear, a red head can still turn his head and that is when the trouble for Austin, and fun for us, begins. Another ♥♥♥♥♥ outing for Mr. Getze. 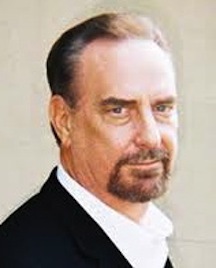 Be sure to leave a comment for a chance to win an e-copy of BIG MOJO. Wall Street’s miasmal garbage washes up on the Jersey Shore when a small time broker falls in love: Is he attracted to the beautiful lady — or her brother’s inside information? Held spellbound by a steamy, auburn-haired woman with a questionable past and a get-rich-quick, insider trading scheme, Austin Carr knocks down a beehive of bad-acting Bonacellis, including the ill-tempered Mr. Vic Bonacelli, who wants his redhead back, and local mob lieutenant Mama Bones Bonacelli, architect of a strange and excruciating death trap for the fast-talking stockbroker she calls smarty pants. 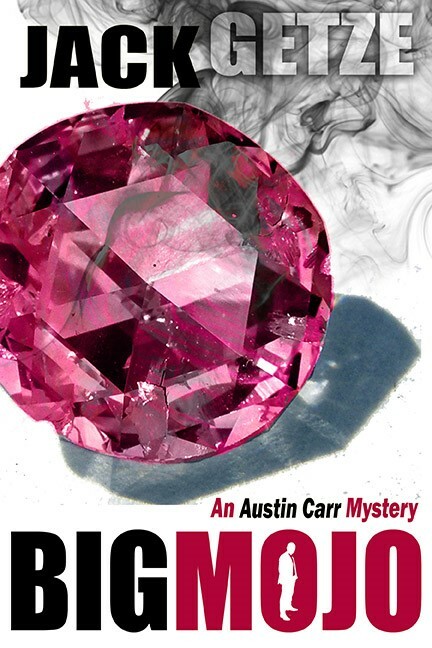 To survive, Austin must unravel threads of jealousy, revenge and new affections, discovering the fate of a pseudo ruby called the Big Mojo, and close the lid on a pending United States of America vs. Austin Carr insider trading case. Can Austin and his Jersey Shore mouthpiece possibly out maneuver the savvy U.S. District Attorney from Manhattan? Does anything matter for Austin again if Mama Bones flips that switch? Thanks, Kate. We should send Austin and Brigid on a date. Sounds like a good read! Good luck! This does sound different and interesting…not my normal kind of reading though, whatever that is!